You had your first gym class trial today! While you loved the teacher and did a pretty good job listening, you were so distracted by all the pretty cheerleaders. 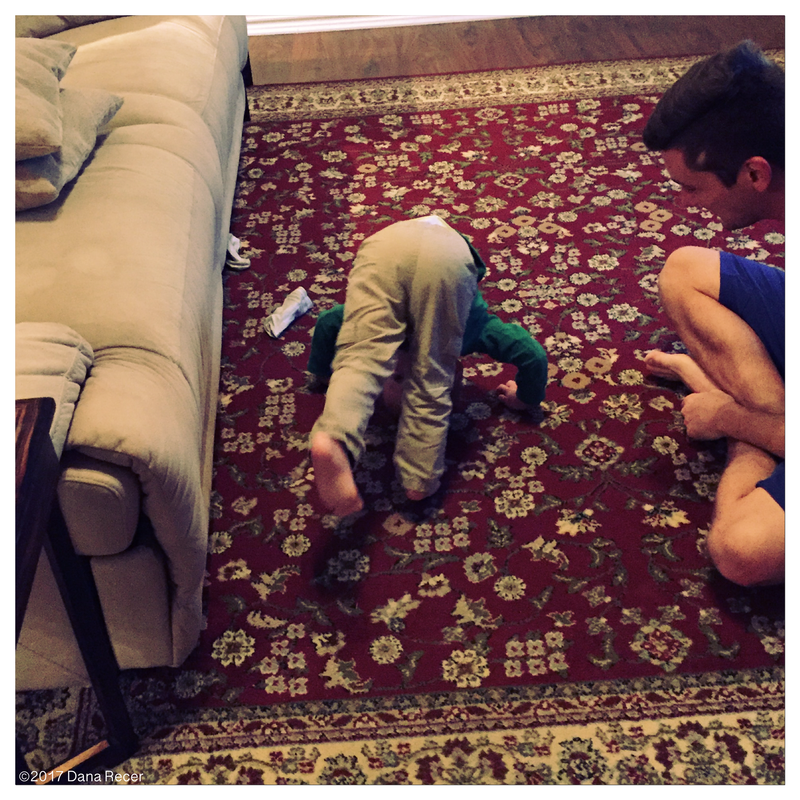 You were showing dad how to do a somersault. You woke up this morning at 4am, and we’re really not sure why. OMG, Saturdays are so fun! 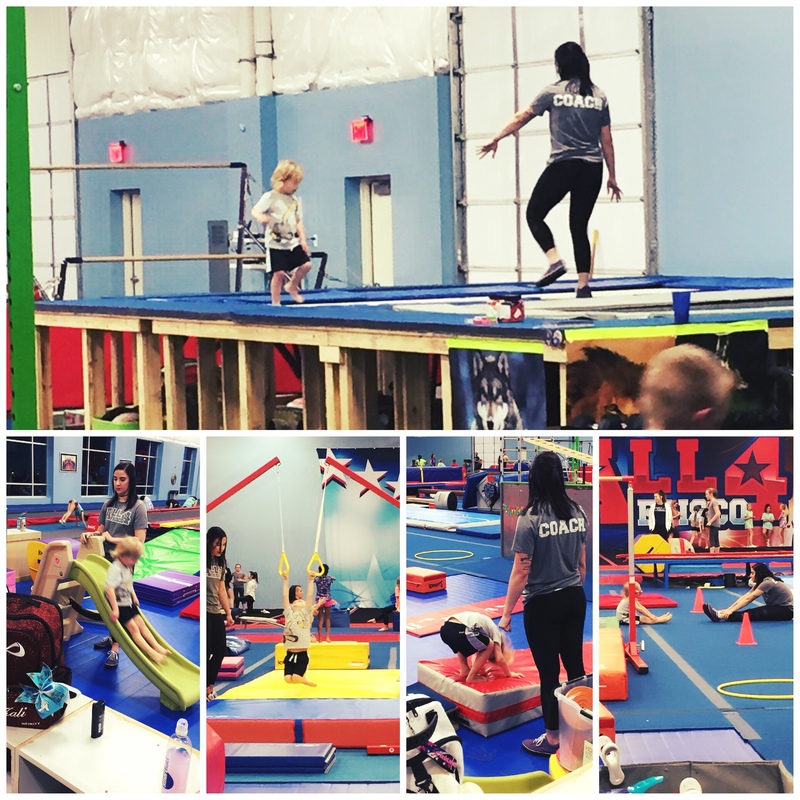 We went to My Gym, then out to eat with our friends, had a nap, went to Dad’s office, met our friends at the trampoline park, and then had some dinner and ice cream. This was the first time you had McDonald’s soft serve ice cream. You ran all the way across the inflated tube at gym today… twice! You were a rock star at gym today. You have to sit in a big chair now, any time we go out to eat. Absolutely no more high chair! 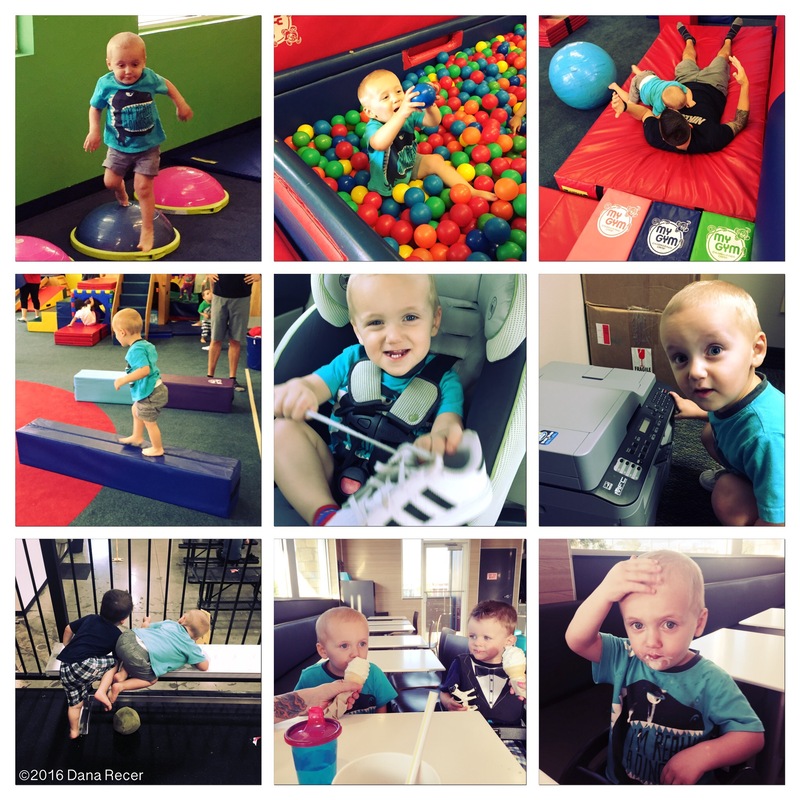 You had so much fun at gym today! And you got to see Grammy after nap time.